The review was scathing. My book, full of well-known places, used short stories to tell how the youth of today are more concerned with being writers than with writing. To write, you needed, above all else, to be a good reader, to have read the classics. Aware of my defects, I decided not to go back to writing until I had filled my literary lacunae. First, I started with the Greek and Latin authors (which I found illegibly wonderful). Next came the Spaniards like Cervantes and the picaresque. Then it was the turn of the English, above all Sterne (someone I had always heard people talk of but knew little about). Then followed the French and Russians of the endless 19th Century. At last I read all the novels by the famous Lost Generation of America, some of which seemed to have been yellowed by time. When, at last, I decided to write, I did it in the knowledge that now, yes, I would be able to shape my novel as a mature reader, an artisan aware of the secrets of his most high office. Once I had finished my work, I handed it into my editor and waited patiently. A weekend passed with no news. The critic happily dedicated his column to the first publication of a supremely talented young author. I don’t remember how many weeks passed by before his commentary on my work appeared. In it, he rejoiced in my evolution as an artist but at the same time lamented the paths my art had taken, tortuous and erroneous paths which had lost me for ever. Afterwards he wondered whether, in order to be sincere, perhaps literature did not need to keep, above all else, that primitive breath, that pure gaze without conditions or determinants which, and here the critic finished, can only be found in the impudence, unawareness and ignorance of a youngster who has only just started writing without having read a single line by any other author. Translation of “On the Art of Writing” Copyright Félix Terrones. By arrangement with the author. Translation copyright 2015 by K. Capaldi. All rights reserved. 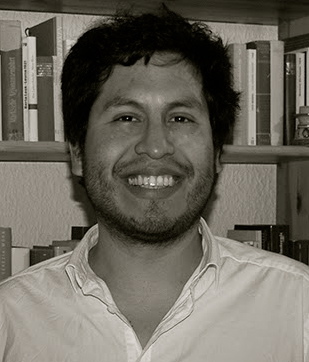 Félix Terrones (Lima, 1980) Peruvian writer, critic and translator living in France since 2004. He worked as an assistant of language and literature at the Université François Rabelais in Tours. Doctor of literature from the Université Michel de Montaigne – Bordeaux III where he graduated with a thesis on brothels in the Latin American novel. Author of the collection of short stories A media luz (PUCP, 2003), the novel El silencio de la memoria (Mundo Ajeno, 2008), the flash fiction collection El viento en tu cara (Nazari, 2014) and the novel Ríos de ceniza (Textual Pueblo Mágico, 2015).